The following is a review from London Jazz News published earlier this week. Original link at the bottom. Offering an edgy blend of jazz-influenced electronic and acoustic music, Eat Logic is best described as “Incognito, Labrinth and Weather Report meet Ennio Morricone “. Lovers of Cinematic Orchestra, Slowly Moving Camera, Zero 7, Massive Attack, Reel People, and similar bands will find familiar sonic landscapes here. “Blending nu-soul with drum and bass, dark buzzy bit-crushed synths with ‘Kind Of Blue’ brass textures, urgent sax extrapolations cascading over epic ethereal filtered pads and vocals ranging from declamatory to introspective, the EP promises to satisfy “Jazz lovers who want a bit of pep when they step out, club-heads who want more than a straight four on the floor and people who love to see good musicians do their thing!” says Gordon Hulbert, the band’s founder, adding “You could say we’re halfway between ECM and EDM”. The album’s producer, Gordon Hulbert, has been a sideman and musical director playing keyboards with the likes of Chaka Khan, Hugh Masekela, and Imogen Heap while co-producer John Myers, who sings and plays guitar, keys, fiddle and Irish flute, has worked with everyone from Pogues singer Shane MacGowan to Kylie Minogue. The band has two first-rate brass players: Dave Land, who previously played trumpet and flugelhorn with Amy Winehouse, and currently works with the BBC Radio Orchestra; and sax player Roberto Manzin who has been creating quite a buzz amongst London’s jazzerati of late. The rhythm section is truly ‘hot’ and funky: Drummer Paul Jones has worked with artists such as Don Blackman, Rahsaan Patterson, Mica Paris and Loose Ends while bass player Winston Blissett – a founder member of jazz-fusion outfit, ‘Protect The Beat’ – has been recording and touring with Massive Attack for years and also has studio credits with everyone from Cher and Robbie Williams to Basement Jaxx and Reel People. What excites me most about this band is the tremendous potential of its instrumentalist members to make great music together with not one, but TWO powerful, jazzy and soulful vocalists, Anita Kelsey and Alison Limerick. Alison Limerick has been a front person with UK acid jazz stalwarts The James Taylor Quartet, Vibrasonic, and Courtney Pine. As a solo artist with BMG Records during the early 90s, she scored worldwide hits with ‘Where Love Lives’, ‘Make It On My Own’ and ‘Love Come Down’. Anita Kelsey worked with Sunship’s Ceri Evans on his first jazz album, for which they won a MOBO in 1997. Anita later went on to score hits in the EDM world during the noughties, such as Tiesto’s Falling. The band’s debut EP has just three tracks: Eat Logic starts out quite aggressively, with frantic drums and cutting synthesizer sounds. The music cools down a little to allow Roberto Manzin to enter the fray with his incredibly fluid soprano saxophone lines, before these ultimately dominate the track, leading to the powerful ending climax and release. The slow funky groove, Magaso, provides the perfect backdrop for Dave Land’s magnificent flugelhorn. Reminiscent of the Cinematic Orchestra, this track opens with industrial-sounding electronic sounds as a preamble to the ‘hooky’ brass riff that sets the mood. The drums never let go of the groove, while the riff becomes totally incessant as the drums build with fills – and all the while the flugelhorn improvisations keep on flowing. Then it’s time for a stab at a more ‘commercial’-sounding track. As soon as Working On It starts playing, you’re going to immediately think Incognito, Lisa Stansfield and Cold Cut, with its instantly danceable ‘house’/’disco’ groove, soulful vocals from Alison Limerick, and an excellent keyboard solo by Gordon Hulbert. The band’s ‘live’ repertoire will also include excellent arrangements of John Coltrane’s ‘Naima’ in an uptempo ‘house’ style; Paul McCartney’s ‘Blackbird’, mostly in 7/4 but subtly using meter changes; and an interesting composition called ‘Minor Crisis’ which starts in 4/4 then switches between 7/4 and 5/4, with occasional sorties into ¾ and 6/4! (*) Mike Collins is a music creator – producer, songwriter, studio musician – music technology consultant & author. Eat Logic’s debut EP is released on 4th August, their debut gig and EP launch will be at The Half Moon in Putney on that date. Kevin Robinson will dep for Dave Land on Trumpet/Flugelhorn and Jerry Brown will dep for Paul Jones on drums. 2015. North American newcomers such as Robert Glasper, Kamasi Washington and Snarky Puppy have had the British jazz community (quite rightly) so much in awe that they’ve completely missed the biggest innovation in British jazz for decades. On their own doorstep! With the 40s, 50s, 60s and 70s long gone, self-respecting music created in the here and now needs to reflect its immediate surroundings, but surprisingly no jazz artists in the UK are picking up the baton. Except one. Eat Logic's provenance speaks for itself, featuring as they do members of Courtney Pine, Steve Williamson, Hugh Masekela, Trilok Gurtu, Bob James, Jason Rebello, Vibraphonic and JTQ. One of their singers was winning MOBO for best jazz album (1997 Anita Kelsey with Sunship) long before the current batch of US imports were a speck on the horizon. But the band's collective credits extend to many other innovators in the UK's music history - Massive Attack, Basement Jaxx, Imogen Heap, Labrinth etc. The legacy of these iconic groundbreakers of the British sound carries through into the Eat Logic collective, dragging jazz kicking and screaming into the 21st century. On August 4th Eat Logic released their debut EP with a launch at Putney’s legendary Half Moon - the site of many famous debuts in London's musical history. 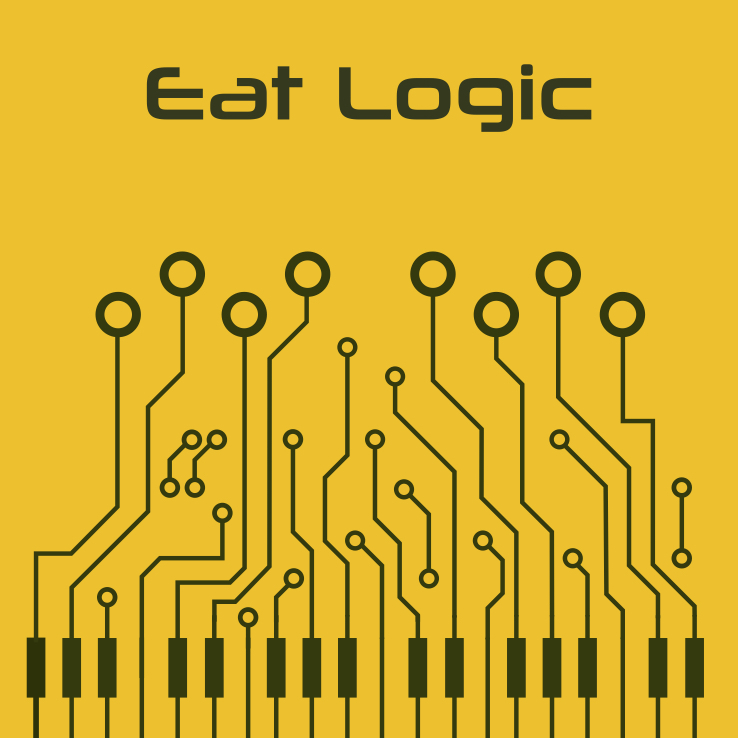 The self-titled EP, ‘Eat Logic’ features forays into drum and bass, glitch, chillout and soulful house, all brought together within a framework of jazz-informed chords and melodies set in an electro-acoustic soundscape. If you'd like to hear the EP, please follow this link to buy your copy and be part of history in the making. Here’s a small preview of our set on August 4th at the Half Moon Putney. We’ll be playing two 40 minute sets in total, with a bunch of instrumentals and some great songs from Alison & Anita. We’re very pleased to announce that Kevin Robinson and Jerry Brown will be joining us for our forthcoming EP launch at the Half Moon, Putney on August 4th. Kevin plays Trumpet and Flugelhorn and Jerry Brown drums. A busy year means that the players on the recordings Dave Land and Paul Jones will be unavailable for the launch in 3 weeks. 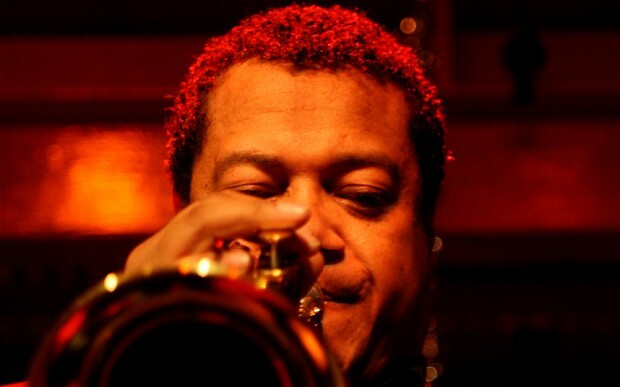 Kevin is a stalwart of the UK’s jazz/soul scene, with credits ranging from Courtney Pine, Jazz Jamaica All Stars and Matt Bianco to Incognito, The Brand New Heavies, Lauren Hill, Will Young, Paul McCartney, K-Class and himself! Kevin and Gordon first met on tour with Mr Hermano (Mr Bongo Records) when the band toured European venues and festivals during the summer of 2001 following the success of their single “Free As The Morning Sun”. The record became a world-wide club smashand was voted Sasha’s record of the season in Ibiza. Jerry is one of the UK’s foremost drummers, having played with Courtney Pine, Angie Stone, Roy Ayers, Incognito and Julian Joseph amongst others. 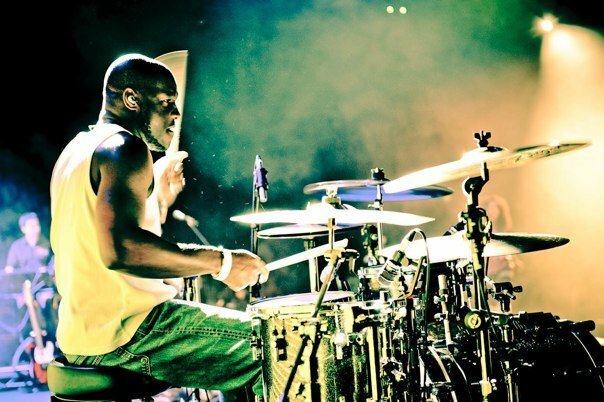 His use of electronics with acts like Girls Aloud, Jamelia and Westlife has established him as one of the industry’s main ‘go to’ drummers for cutting-edge sounds mixed with rock solid grooves. Jerry was drumming for Matt Goss when Gordon was pulled in to play a few gigs around the UK, including Tea In The Park, The Scala and one of the Hyde Park festivals. The two have stayed in touch ever since, performing together on many occasions.